Thank you for the opportunity to address your concerns. I would like to apologize for any inconvenience and stress resulting from the manner of communication provided by our Customer Service agents. It is disappointing that you were not eligible for the promotion offered by your preferred resort. Rest assured, there is no bait and switch involved. It is the participating resort provider who sets forth the eligibility requirements for the promotional packages since they are paying the 70% discount on behalf of qualified guests. That being said, the first reservation you booked and held with the $99 deposit, was booked as a “Cohabitating” couple and your guest was noted as your fiancée. There was no problem since cohabitating couples (with proof of same) are eligible for the promotion you put a deposit on. When you called to book your dates, however, you indicated that your status was “Single,” and, unfortunately, that particular promotion is not offered to single women. 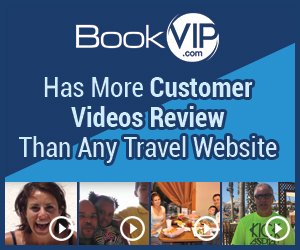 The eligibility requirements for each promotional package can be viewed on BookVIP’s website at the bottom of each resort offering page by clicking on the Terms and Conditions. We are happy that you will still be able enjoy an all-inclusive, 6-day/5-night vacation in a beautiful Five-Star resort in Cancun. I just booked with bookvip.com. I placed 99 dollars down as I was unsure of my days. I called back two weeks later when my vacation had been approved by my job. Imagine my surprise when I was told that I couldn't go to the resort I'd payed for because I wasn't a married couple and I didn't live with my boyfriend! ( I'm 51 and my boyfriend is 50) they offered to book my in a resort that didn't have that requirement. After booking I had the opportunity to check the reviews on the new resort only to find out it's of poor quality and the biggest party hotel in Cancun, oh and our dates are in soring break. I called back and asked for a supervisor and was told there was none available. The old bait and switch! I was very upset. Told them so. The guy on the phone had the nerve to tell me had I just paid up front they would have told me about needing to live together and it's just unfortunate I didn't have the money to pay when I originally booked!!! ( which had 0 to do with it!!!). I'm so mad I can't see straight!!! Do not give theses *** hats your money!! You won't get what you ask for and no one will help you!!! Review #1009807 is a subjective opinion of User1009807.